How to grab your future employers' attention when you are applying for a job position as a Legal Professional at a Development Bank? 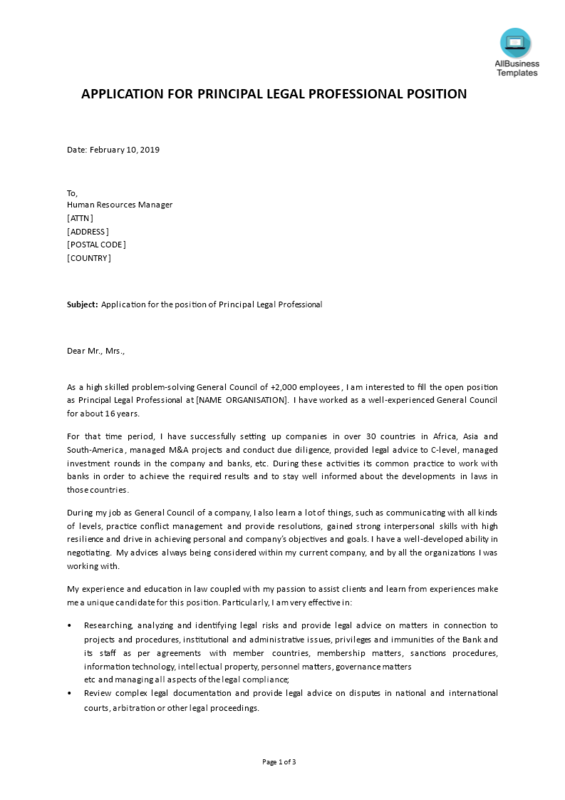 Download this Cover Letter Executive Legal Professional now! Immediately clear about your name and the position you are seeking. This application cover letter template has ways to grab your future employers’ attention. After downloading, you can customize every detail, typography, font size, and appearance of your application cover letter and finish in minutes. Download this Cover Letter Executive Legal Professional now and get noticed by your future employer! Don't forget to add your CV or Resume to this letter.